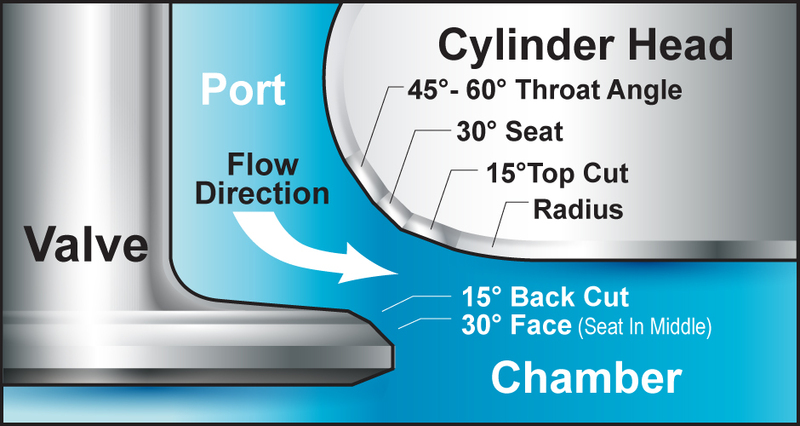 Using specialized equipment, Victor’s technicians can shape these openings and improve the airflow and venturi characteristics by blending an improved curvature radius into the airflow path. Multiple angle valve and seat machining is very effective in making the air flow more efficient. As a result improved engine performance and fuel efficiency can be obtained.